The Global Market for Food Scale to 2023 offers latest information and historical data on food scale market on the basis of product, by application, and by geography (North America, Europe, Asia-Pacific, MEA and South America). The report covers forecast and analysis for the food scale market on a global and regional level. The study provides historic data of 2013-2017 along with a forecast from 2018 to 2023 based on both sales and revenue. The study then describes the drivers and restraints for the food scale market along with the impact they have on the demand over the forecast period. The report has been prepared based on the synthesis, analysis, and interpretation of information about the global food scale market collected from specialized sources. The competitive landscape section of the report provides a clear insight into the market share analysis of key industry players. Company overview, financial overview, product portfolio, new project launched, recent development analysis are the parameters included in the profile.  The research report provides analysis and information according to market segments such as geographies, types and applications. All the segments have been analyzed based on present and future trends and the market is estimated from 2018 to 2023. Relevantly, the report and company profiles specify the key drivers that are impacting the demand in global food scale market. What are the key factors driving the global food scale market? Who are the key players in the food scale market?